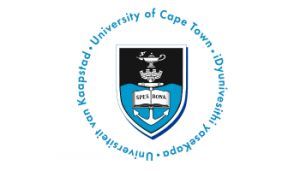 The University of Cape Town, better known as UCT, has positioned itself as a leader in tertiary education in South Africa through excellence in research and academic achievement. With more than 60 specialised research facilities and six faculties, the University of Cape Town upholds this standard. Situated in close proximity of all necessary services within Cape Town, UCT is accessible to any student and offers an array of social as well as academic activities such as RAG, Christian Fellowship, sport, student societies and much, much more. The University of Cape Town, better known as UCT, has positioned itself as a leader in tertiary education in South Africa through excellence in research and academic achievement. With more than 60 specialised research facilities and six faculties, the University of Cape Town upholds this standard. Some famous names that have attended this university include the likes of world-renowned heart surgeon, Professor Christiaan Barnard and the famous Opera singer, Angela Gilbert.